DR MUKHTIAR ALI, Medical Director in Mardan Medical Complex scince from July-2017. 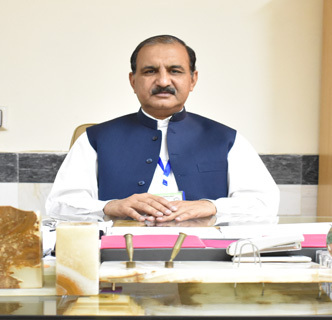 Dr Mukhtiar Ali did his MBBS from Khyber Medical College) Peshawar, Pakistan in 1986 and then Fellowship in General Surgery from College of Physicians & Surgeons of Pakistan in 2006. He started his professional career as House Officer in 1987 and elevated to the post of Medical Director in 2017.